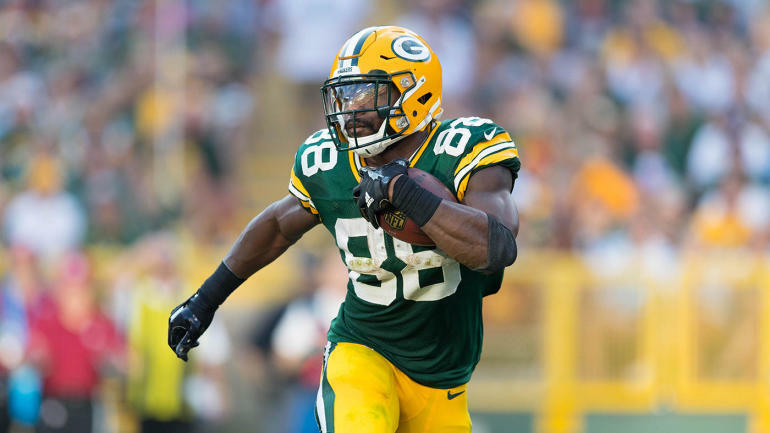 It’s not easy to add depth at three different positions with just one signing, but that’s exactly what the New York Jets did on Thursday when they picked up free agent Ty Montgomery. According to ESPN.com, the Jets signed Montgomery to a one-year deal. The move might not be a flashy one, but it will give some the Jets some much-needed help at several different positions. For one, Montgomery will likely serve as a backup to Le’Veon Bell. The 26-year-old also has some experience playing wide receiver in the NFL, which means he could help out the Jets at that position if the team needs it. Montgomery can also return kickoffs, which might be the most important talent that he’s bringing to New York. Although the Jets finished the 2018 season with NFL’s third-best return game, their leading kick returner (Andre Roberts) departed in free agency and signed with the Bills, which left New York with a gaping hole at the position. Last season, Roberts was voted to the Pro Bowl as a special teams player after averaging 29.4 yards per return, which ranked second in the NFL. As for Montgomery, he average 21 yards per return in 2018 while playing with the Packers for their first seven games. Of course, it should probably also be noted that he lost his job in Green Bay due to a kickoff return. During a 29-27 loss to the Rams in Week 8, Montgomery fumbled away a kickoff with under 2:05 left to play in the game on a play where the Packers’ coaching staff expected him to kneel the ball. The fallout from the fumble was brutal, with the Packers trading him away to the Ravens just two days later. The good news for for the Jets is that Montgomery isn’t just a returner. The 2015 third-round pick out of Stanford entered the NFL as a receiver with the Packers in 2015, before being moved to running back the following season. Montgomery has averaged an impressive 4.9 yards per carry over the course of his career with both the Packers and Ravens (192 carries, 932 yards, seven touchdowns), which should make him a solid choice for serving as a backup to Bell. Montgomery has also done some damage through the air in his career, with 107 catches for 892 yards and three touchdowns. According to NFL.com, Montgomery was supposed to meet with the Dolphins this week, but he decided to take a pass on his trip to South Beach after his meeting with the Jets on Thursday that led to his eventual signing.